The University of Arizona addressed the challenge of creating a more efficient and agile IT operation by deciding to go all-in on the cloud. 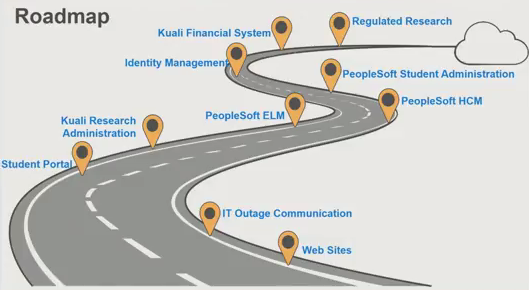 After initial success in migrating their Kuali Research Administration system, they created a roadmap and began migrating their PeopleSoft application environments, including Enterprise Learning (EL), Human Resources (HR), and Student Administration (SA) to AWS. The University of Arizona has 42,000 students with more than 300 majors. To be responsive to their students, they are in the process of migrating over 95 enterprise services to the cloud.